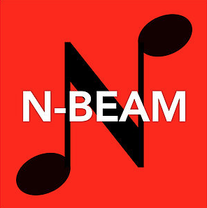 Performed May 1, 2018 in Van Wert OH at the Niswonger Performing Arts Center by the Van Wert High School Symphonic Band, Robert H. Sloan conductor. A recent hobby I have taken up is knife throwing. I was pleasantly surprised to find that throwing knives make some really intriguing sounds as they spin through the air and thud into the target, or glance off the target in the case of a miss! The sounds are percussive, yet unusual, almost otherworldly, as if they might be borrowed from an alien drum machine. 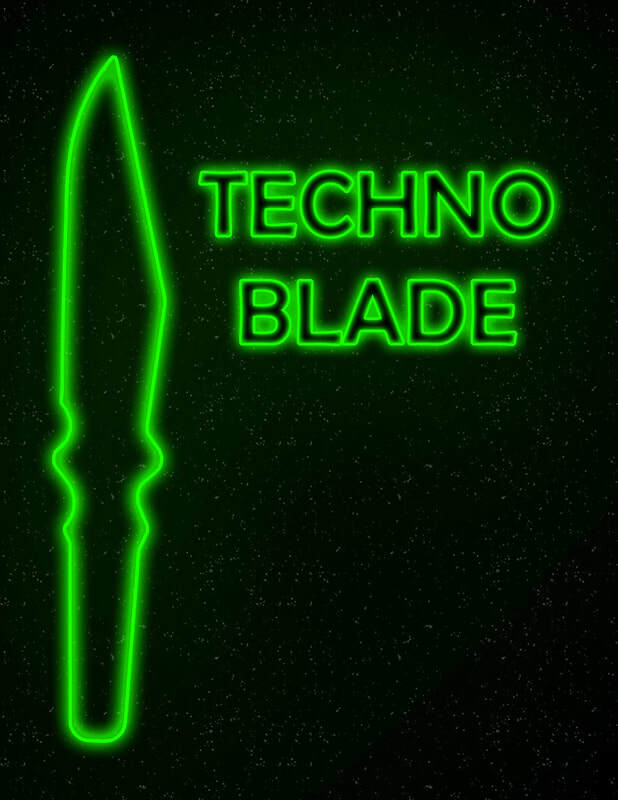 When you combine this with the fact that Jim Mobley, the head commissioner, is a percussionist, located right outside Detroit, which is the birthplace of techno music, it was clear to me that this piece should be inspired by electronic dance music (EDM) while incorporating sounds from my recordings of throwing knives. 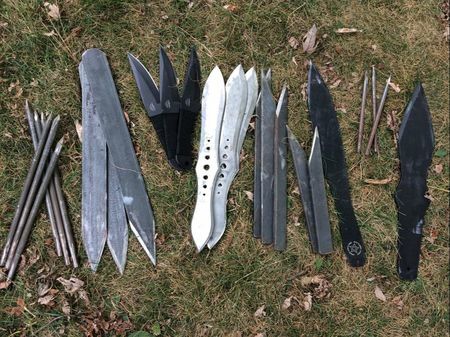 My personal collection of throwing knives and spikes, the majority of which I’ve made myself. The large set of three knives (second from the left) is the set which was recorded for this piece. Jim Mobley (N-BEAM organizer and head commissioner) chats with Alex Shapiro, Daniel Montoya and myself at Midwest about the project. Some very funny moments! Some video footage from my audio recording session - you'll hear the great sounds of the knives when they do and don't connect with the targets! Purchase of score and parts will also include a link to download the performance audio track.